Mandarin is on State Road 13 not too far south of Jacksonville, Florida. 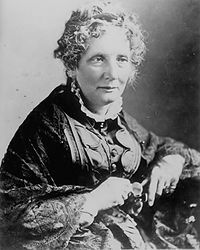 It is probably most famous as the Florida home of Harriet Beecher Stowe, the author of "Uncle Tom's Cabin". Abraham Lincoln once referred to her as the little lady that started a great war. Mandarin was named after the Mandarin Orange by an early settler in the area named Calvin Reed. It is a small place on the eastern shore of the St. Johns River, and was called a tropical paradise by Mrs. Stowe. It prospered in the late 1800's as a bustling farm village that shipped citrus and vegetables to northern cities via steamboats that plied the river. 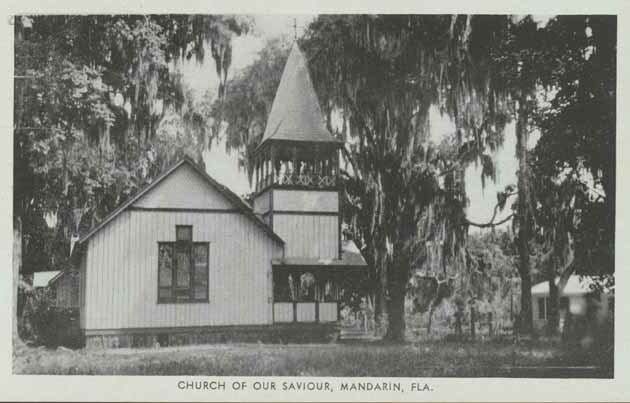 One reminder of the old days is the Church of Our Saviour, an example of Florida Carpenter Gothic architecture that stands on the banks of the St. Johns River. Mrs. Stowe and her husband attended church at this location for many years. Although the original church was totally destroyed by Hurricane Dora in 1964, a new chapel of similar design was built on the same site with pieces salvaged from the old church. This building still serves today as the meeting place of the Episcopal Church of Our Saviour. The village is an example of Old Florida with huge ancient oak trees providing canopies over the narrow streets. The Spanish Moss drifting in the breeze is on every tree, and several quiet parks provide a place to rest. Mandarin today is surrounded by nice residential subdivisions, but it's still possible to recapture the serenity and peacefulness of the formerly isolated village by relaxing in one of the parks. Clark's Fish Camp is a dining tradition in the Mandarin area of Jacksonville. 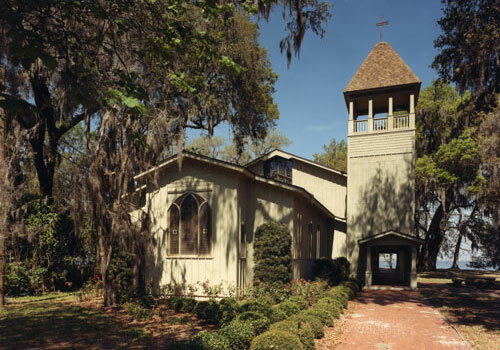 It is located in a rustic structure on Julington Creek on Hood Landing Road. Take Julington Creek Road east from State Road 13 for about two miles and you will come to Hood Landing Road. Go south on it for a short distance to Julington Creek and Clark's. People visit Clark's both by boat and car. 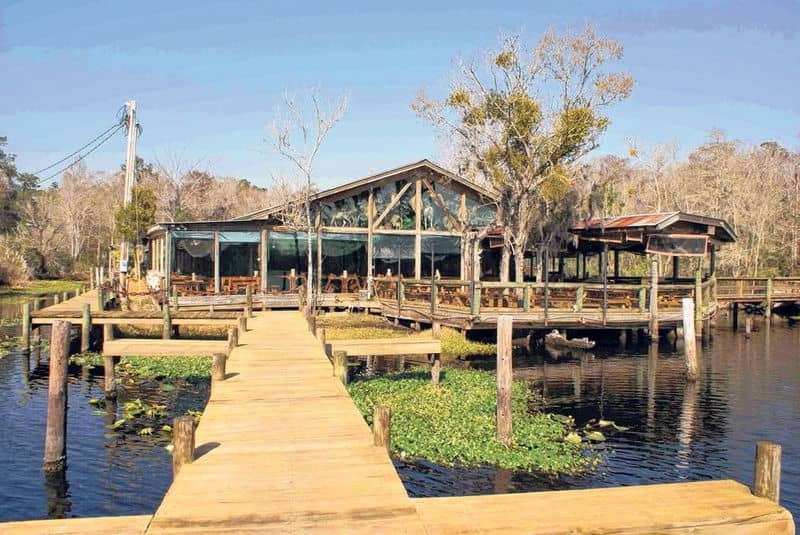 The food at Clark's is above average, but the atmosphere is unlike anything else you will find in Florida. 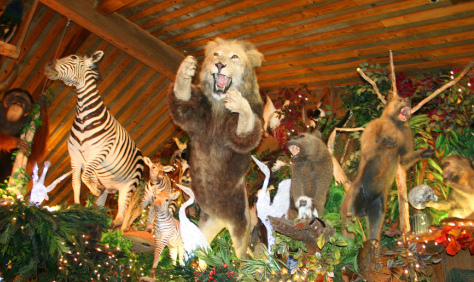 The interior is loaded with what many consider to be the world's largest private taxidermy collection, artistically displayed. You will be dining among panthers, deer, lions, fish, birds and scores of other quiet yet lifelike animals, including alligators. If you are an animal rights activist, you might feel uncomfortable. There is also a daily alligator feeding, usually at 630pm, for the resident live gator, Lilly. She lives in a glass enclosure and is a popular attraction for visitors waiting for their own dinner. When I was last there, a pretty young blonde lady named Ashley was the alligator feeder. The menu at Clark's features just about every kind of seafood you can imagine, along with an amazing number of beef selections. I've heard the steaks are great, but I insist on eating seafood when at a place called a fish camp. Among the seafood offerings are oysters, catfish, mahi mahi, trout, crawfish, shrimp and other standards. They have a good selection of bayou dishes like etoufee, gumbo, jambalaya and the like. They also have some very exotic dishes for those who are interested: rabbit, turtle, frog legs and other Old Florida standards. They even have kangaroo meat. The full liquor bar has everything you can imagine. The kids love this place because it's a bit like dining in a zoo. It's also fun to go out on the deck and see the real wildlife in Julington Creek. Weekends are very busy, and sometimes the parking lot fills up and there can be an hour's wait or more until you get a table. Clark's loyal followers do not mind the wait.